I immediately wanted to get involved. As new graduates, we probably have little to offer financially, but a little can go along way. I wanted to get to know Alisha and find out how we could help. I’ve been inspired by her ambition, and I know other graduates will be too. 1. Tell us about yourself and how you are planning on practicing Optometry in Guatemala. I am a native Minnesotan who ventured to Memphis to attend school at Southern College of Optometry. Before my first year of optometry school, I spent time living in a Mayan village in Belize. While there, villagers would come to me with their eye problems asking me to fix them. Of course, I couldn’t help them, but the reality set in that these friends I had made had no access to eye care. 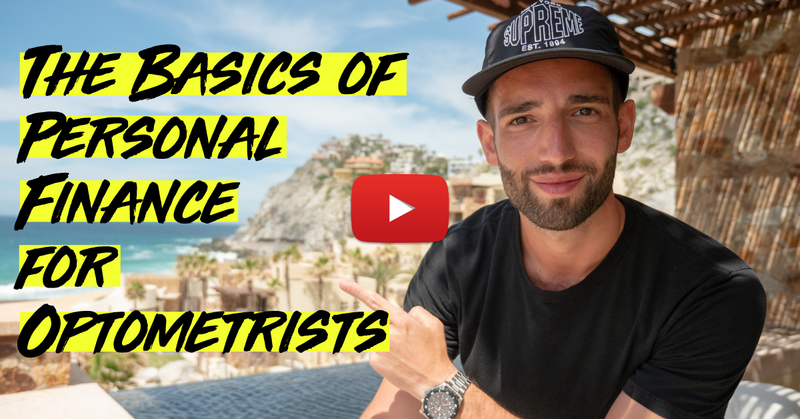 After going on my first trip with SVOSH to Mexico and several trips with Remote Area Medical, I realized that this type of care is what made me the most excited about being an optometrist. For now I will be practicing optometry in the way that God has given grace to us. Everyone in the San Andres region of Guatemala will have an opportunity to receive quality eye care regardless of circumstance and without judgment. I will be operating on the kindness of others willing to help fund us. 2. Tell us about the clinic you are setting up. Clinica Medica is located in a highland region of Guatemala where 75% of the population makes less than one dollar per day. It was built by Mission Guatemala in 2010 to provide low cost medical care to the indigenous Mayan communities. The clinic currently houses a full time local MD, a dental exam room, and a small pharmacy. The cost for a medical exam ranges from $1-3 (depending on the patient’s financial status), but for those who cannot afford this care is free. An empty exam room was generously opened to us to provide eye exams. This will be the first full time eye care the community has ever had. With the help of generous donors, we will be providing eye care with a fairly new exam lane, an autorefractor/keratometer, and even an iCare tonometer! I plan to offer every service that I can with the equipment and resources that I have, with the exception of contact lenses and vision therapy. I am in the process of trying to find ophthalmologists who might be able to provide low cost surgery. 3. What can you tell us about Mission Guatemala, the organization you are working with? I can tell you that Mission Guatemala is made up of some of the most humble and genuine people I have ever met. It was founded in 2007 by Tom Heaton, a pastor from Indiana who saw a need for all types of care in the area. They were rated one of the top nonprofits for 2014 by Great Nonprofits. Their main focus is health and nutrition. They are currently involved with a feeding program, stove project, community education projects, and running the clinic. The coolest part is that they have established an incredibly trusting relationship with the indigenous Mayan people. Everyone is mutually treated like family. 4. How did you get involved with them? How can other new graduates get involved? This is where the power of the internet comes in. For months I would Google search for nonprofits clinics all over the world that didn’t have an eye doctor. I came across Mission Guatemala by typing in “clinic Guatemala”, or something of that sort. I called Tom Heaton, the founder, and asked if they wanted an eye doctor. He was enthusiastic about this idea right off the bat. Mission Guatemala had many things that were important to us, like a great reputation with the community, a full time MD on staff for referrals, and staff that was easily accessible for all of the communicating we knew that was ahead of us. My husband and I went to visit the clinic when Tom was in Guatemala last December. Everything went really well. After that, we knew we definitely wanted to partner with them. New graduates interested in getting involved with Mission Guatemala can contact us via our website. There may be opportunities to do fill-in work, and we are open to whatever questions you may have. 5. How can we be of help to you? There are so many ways that people can help. We need prayers, words of wisdom, and financial support! Anyone with connections in Guatemala, feel free to reach out to us. Also, people have given me great book suggestions (I’m currently reading Infinite Vision by Pavithra Mehta) and advice on living abroad. Anyone with previous experience in the mission field would be a great resource for us. 6. Any equipment you are still lacking or are monetary contributions more helpful? We have actually been beyond fortunate to receive all of the equipment that we need (and more)! We will have a really nice exam room that we didn’t pay a cent for. It is incredible how willing others have been to help. At this point monetary donations would be best. We won’t be getting any monetary compensation while we are there, so we are fundraising for living expenses for two years to start. Right now we’ve met about 40% of our goal, we would greatly appreciate any donations. 7. If optometrists would like to donate, how should they go about doing that? Donations can be made online through our website, alittlemoresalt.com. Click on the “donate” button right on the home page and it will prompt you to enter payment information. All of the money will go directly to our missionary fund! 8. Is anyone providing lenses/frames for you? Pharmaceuticals? Ocean Optical has generously offered to donate all of our frames. We will be getting in contact with nearby finishing labs to discuss lens costs, but don’t have anyone at this point donating lenses. We are working hard to find a way to get discounted pharmaceuticals, especially dilating drops. If anyone could be of help in this arena, please let us know! 9. Last question, as a now SCO alumni, what’s your favorite Memphis BBQ restaurant? My husband laughed when he read this. I’m a vegetarian! I’ll have to go with Central BBQ. Their mac & cheese is pretty great! Visit Alisha and Kim’s Website “A Little More Salt” to donate. Displaying making a difference_ a new grad’s journey to serve the people of Guatemala .pdf.